The CLERC Peking University Summer Chinese Language program is comprised of six weeks of intensive Chinese language study at Peking University (PKU). 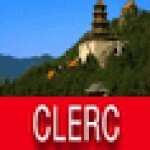 Chinese Language Education & Research Center (CLERC) utilizes and integrates available resources and facilities both in the US and China for the promotion of research and advancement of Chinese language education in the US and US-China educational exchanges. The CLERC Peking University Summer Chinese Language program is comprised of six weeks of intensive Chinese language study at Peking University (PKU). PKU provides students with the best resources and instructors of Chinese language education. Classes in Elementary I, Elementary II, Intermediate and Advanced Chinese meet four hours every morning, Monday through Friday with 10-15 students in each class. Elective cultural classes in Tai-chi, Chinese Calligraphy, and Brush Painting will also be offered. Students are required to take a placement test at the beginning of the program to determine their class level. Class changes can be made during the first week. The curriculum includes Reading/Writing and Speaking/Listening courses. Each student will be assigned a Peking University student as language partner. Students will take a final exam at the end of the six weeks. Certificate and transcript will be awarded by Peking University if you have completed the course with a passing grade. Most US universities will allow credits taken at Peking University to be transferred. Check with the Study Abroad Department in your school for specific credit transfer requirements. Weekend excursions in and around Beijing allows you to see Beijing in tradition and modernity, such as the Great Wall, Forbidden City, Tian’anmen Square, Temple of Heaven, Summer Palace, etc. You will also participate in organized weekly shows and entertainments. On Wednesday evenings, movies or stage performances, such as Peking Opera, dancing or acrobatics show are scheduled. Transportation is provided for group activities.